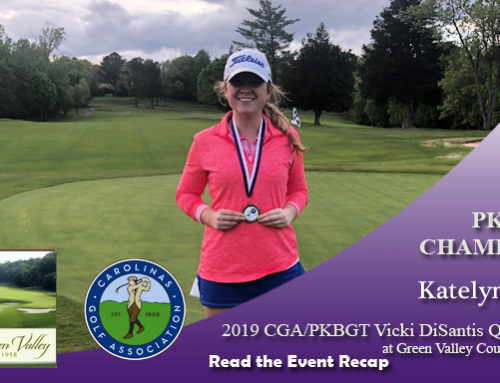 On Sunday, August 5th, 2018 the Peggy Kirk Bell Girls’ Golf Tour played the third and final round of the Tour Championship at Salem Glen Golf Club in Clemmons, North Carolina. 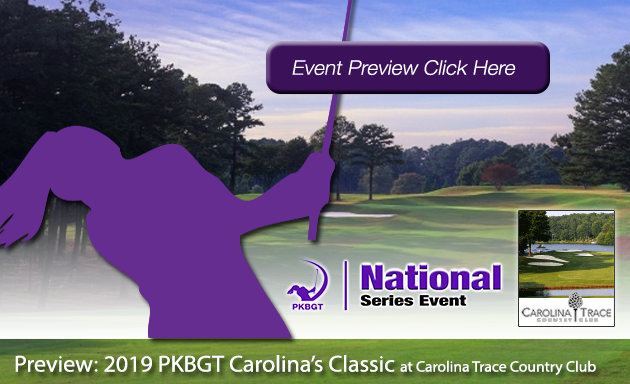 The Tour Championship is the 10th and final Championship event of the 2018 season and wraps up the 2018 national events schedule. 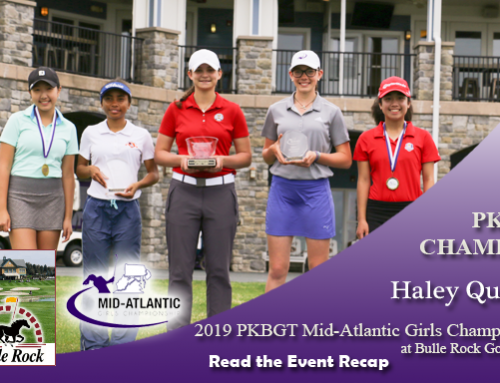 The event featured a field of 54 players from the PKB Girls’ Golf Tour, the nation’s largest “girls’ only” junior tour. The girls tackled the course at 6,052 yards in the Bell National Division and 5,289 yards in the Futures National Division. The champion of the Bell National Division is Danielle Suh (Herndon, VA 2020) after posting rounds of 71-73-74 (+2). Suh held the lead after all 3 rounds of the tournament. In second place is Alyssa Cong (Germantown, MD 2020) who posted rounds of 77-72-72 (+5). In third place is Victoria Ladd, who posted rounds of 76-75-71 (+6), with her final round of 71 being the low round of the day! In fourth place was Catie Craig (Sautee Nacoochee, GA 2021) with rounds of 77-75-72 (+8). 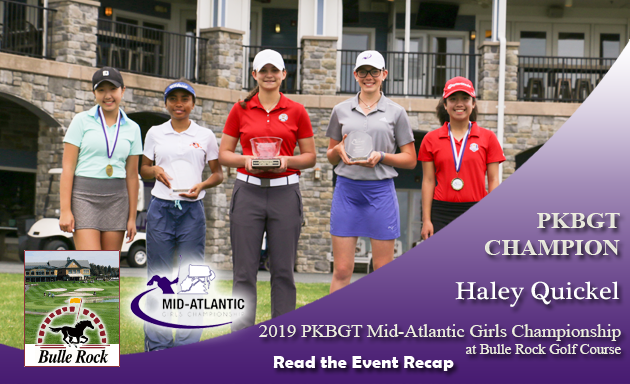 Rounding out the top finishers in a tie for 5th were Julie Shin (Brambleton, VA 2022) and Olivia John (Greensboro, NC 2018) who posted +9 for the tournament. Shin posted rounds of 72-79-74 to move up the leaderboard during the final round. John, who is headed off to play at High Point University this month, posted rounds of 74-78-73. The champion of the Futures National Division is Averi Cline (Suwanee, GA 2022) who posted a final round of 72 to finish the tournament at 1 under par. 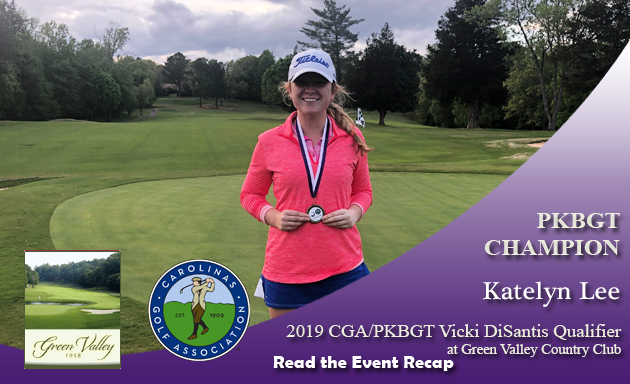 Cline birdied her final two holes of the tournament to win by 6 strokes. Finishing in 2nd place is Reagan Southerland (Atlanta, GA 2023) who posted steady rounds of 72-75-74. In third place is Liza Lapeyre (New Orleans, LA 2022) who posted rounds of 77-73-73 (+7). Rounding out the top 5 in a tie for fourth place is Megan Morris (Cary, NC 2021) and Annabelle Millard (St George, UT 2022) who finished the event at +9. 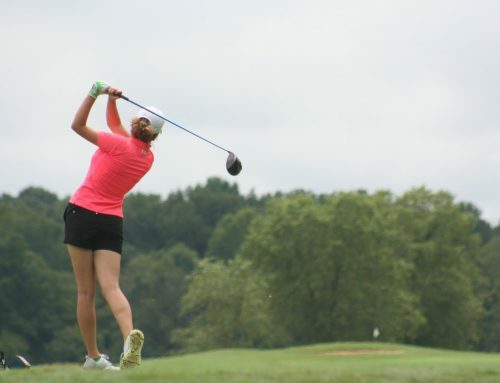 Morris posted solid rounds of 73-77-75 to earn her second top 5 finish of the 2018 National Circuit. Millard chipped in on the 17th and birdied the 18th to slide into the top 5. With Tour Championship being the culmination of the 2018 PKBGT National Season, the Order of Merit winners are decided at the conclusion of this weekend’s event. 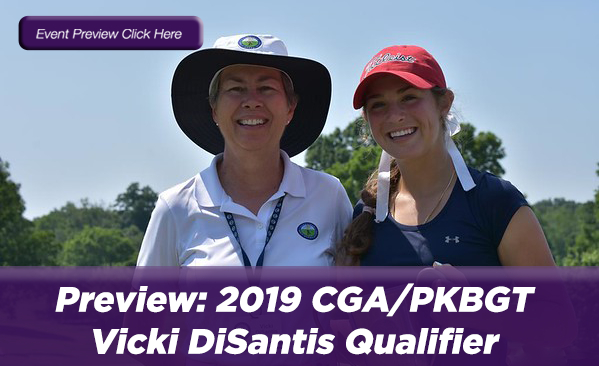 In the Bell Division, 6-time PKBGT Champion Amanda Sambach (Davidson, NC 2021) becomes the 3rd player in PKBGT history to win the Bell National Order of Merit twice. 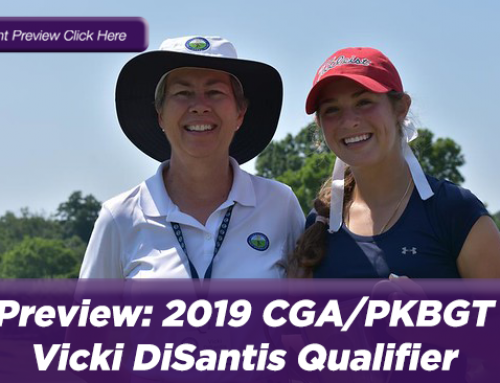 Sambach joins PKBGT legend Katherine Perry and Symetra Tour Professional Lucia Polo as the only 3 players to win the trophy for 2 consecutive years. The Futures National Order of Merit race came to an exciting finish at the conclusion of the event, with Annabelle Millard jumping 4 spots on the standing to win the 2018 Futures National Order of Merit trophy. Amber Mackiewicz (Virginia Beach, VA) and Averi Cline (Suwanee, GA 2022) finished 2nd and 3rd respectively. 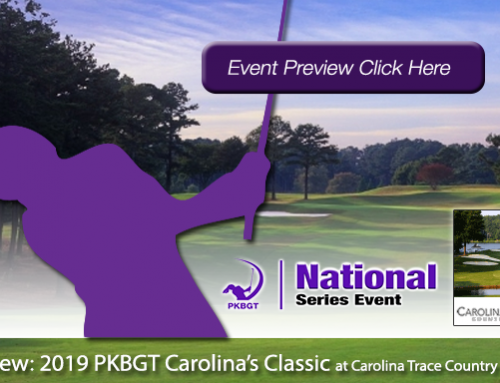 All three of the top finishers have now earned their spot in the prestigious 2018 PKBGT Invitational! Congratulations to all PKBGT members for a great season on the national circuit. Be on the lookout for the 2019 schedule, introducing some exciting new events!